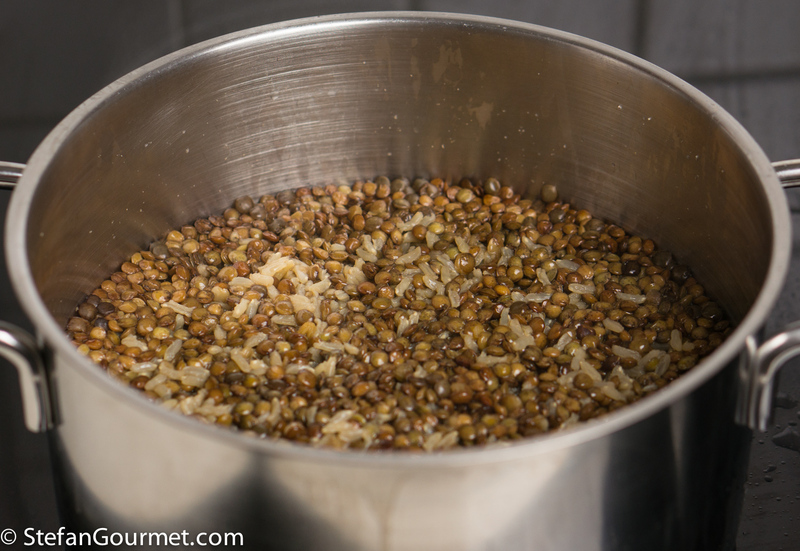 I used “du Puy” lentils, that do not require to be soaked and are done in 25 minutes. The brown rice I used also requires 25 minutes of cooking time. Adjust the cooking times as needed. 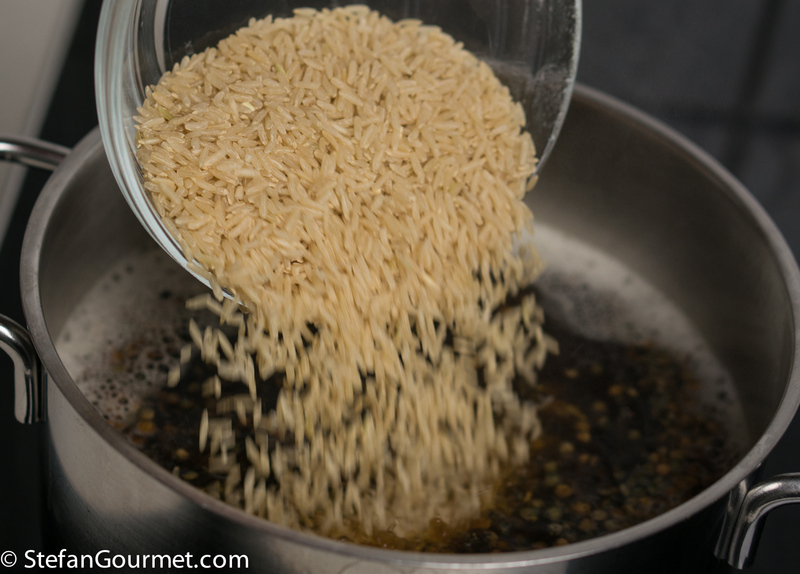 …and the rice (taking into account any difference in cooking time). 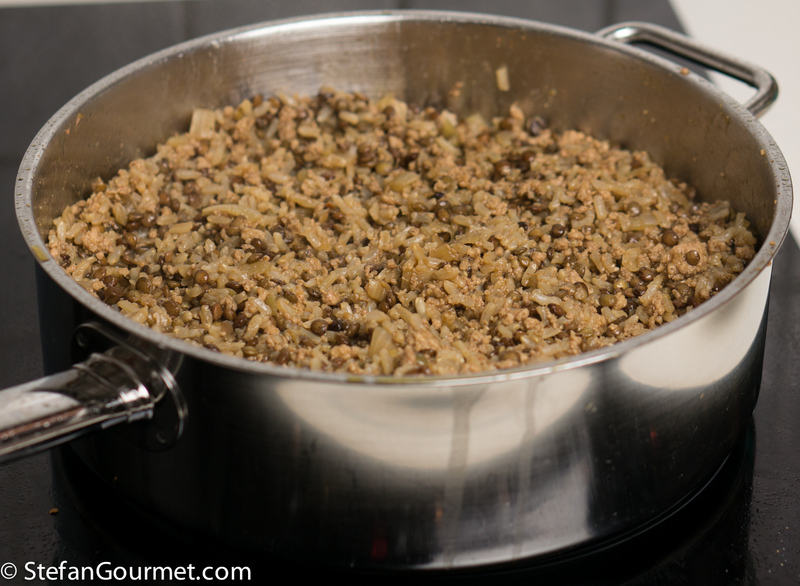 Cover the pot and cook until the rice and lentils are cooked, in my case 25 minutes. In the meantime, heat 2 tablespoons of olive oil in a frying pan. 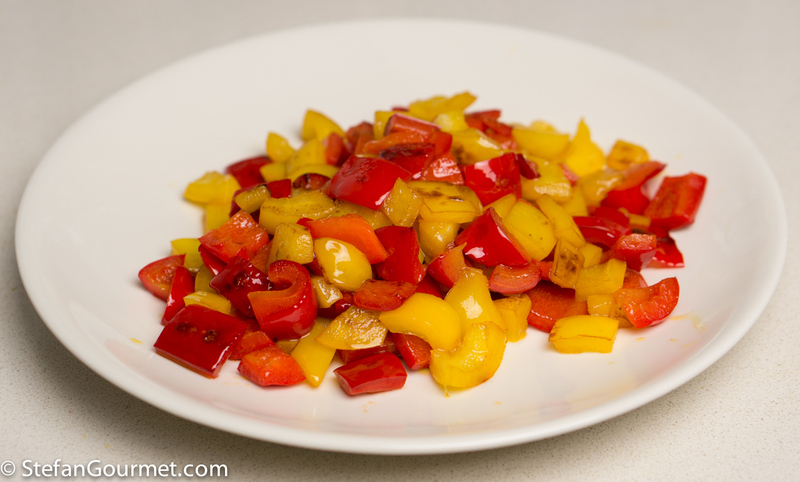 When the oil is hot, add a red and a yellow bell pepper, diced. 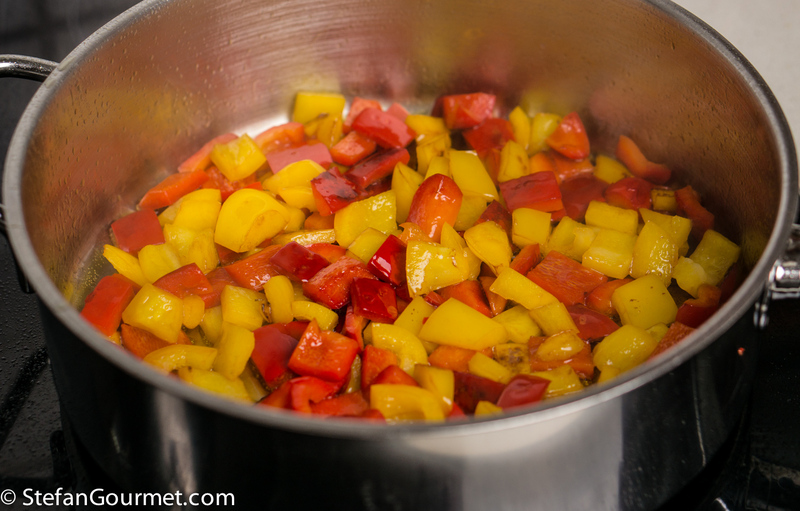 Stir over high heat until the bell pepper starts to color, then turn off the heat. 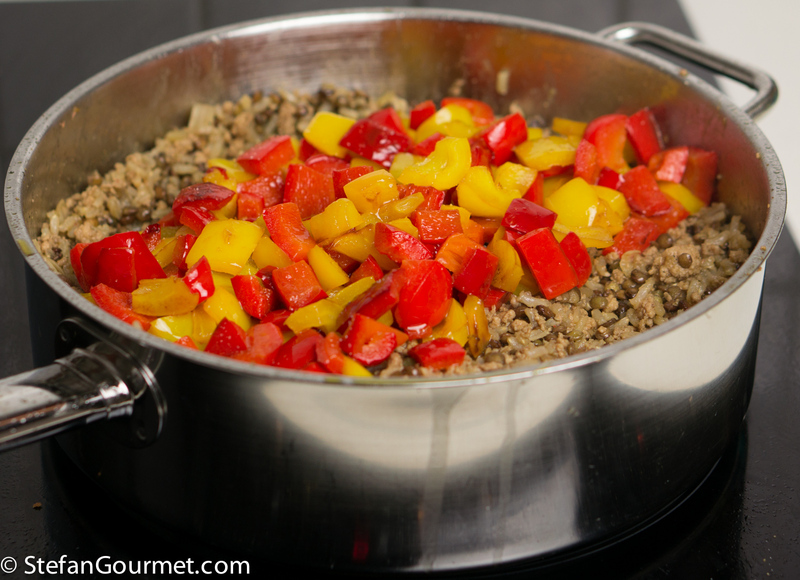 Lift the bell pepper out of the pan with a slotted spoon and reserve. 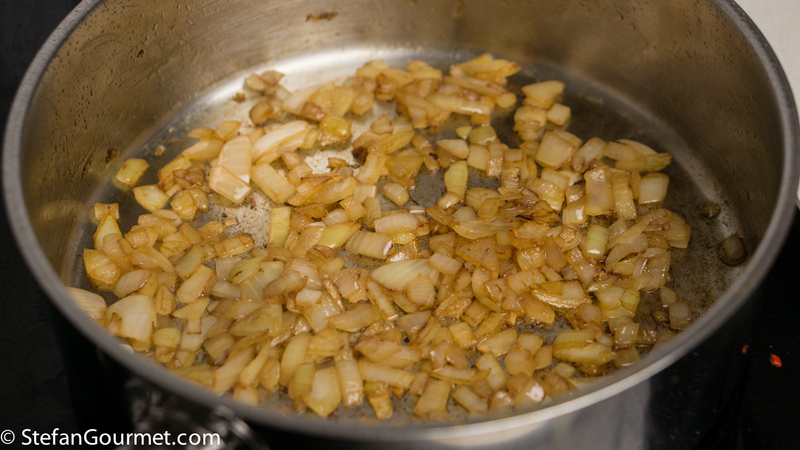 In the same pan, stir a chopped onion over medium heat until it is soft, about 5 minutes. You may need to add some additional olive oil. 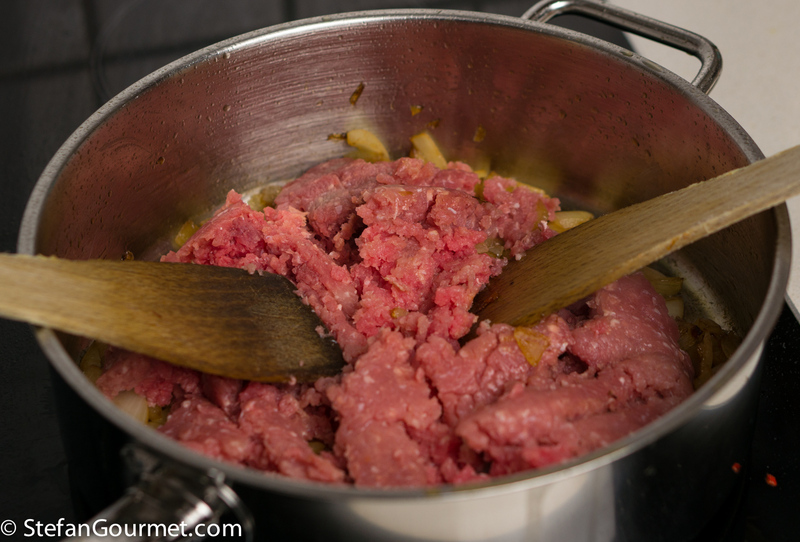 …until the meat has lost its raw color. 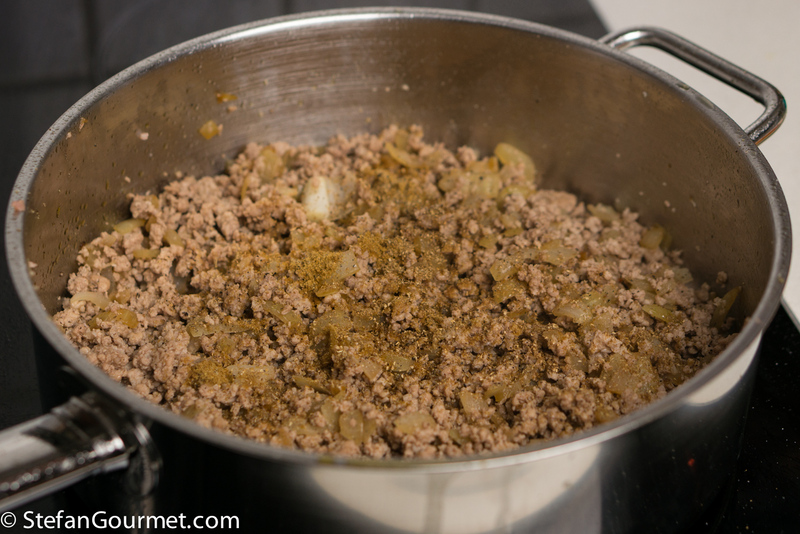 Season with salt, pepper, ground cumin, and ground coriander to taste. I used half a teaspoon each of the latter two. By now the rice and lentils should be tender but still firm to the bite. 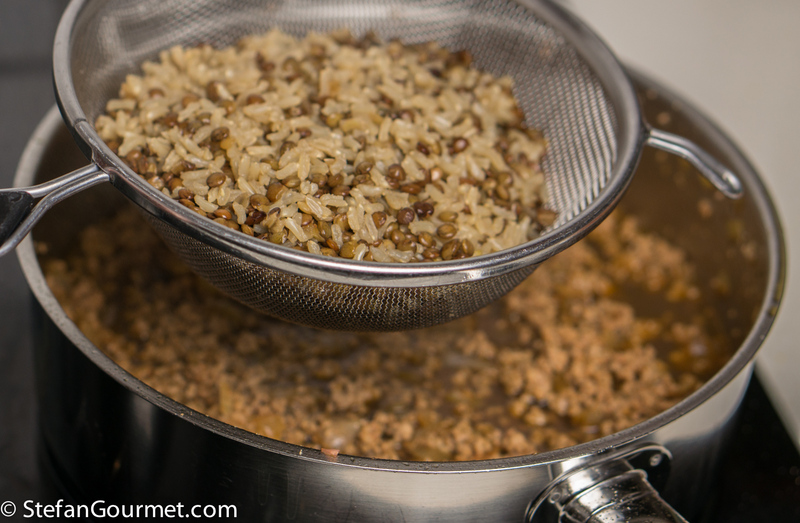 Strain the remaining beef stock from the rice and lentils into the pan with the meat (and reserve the rice and lentils for now). 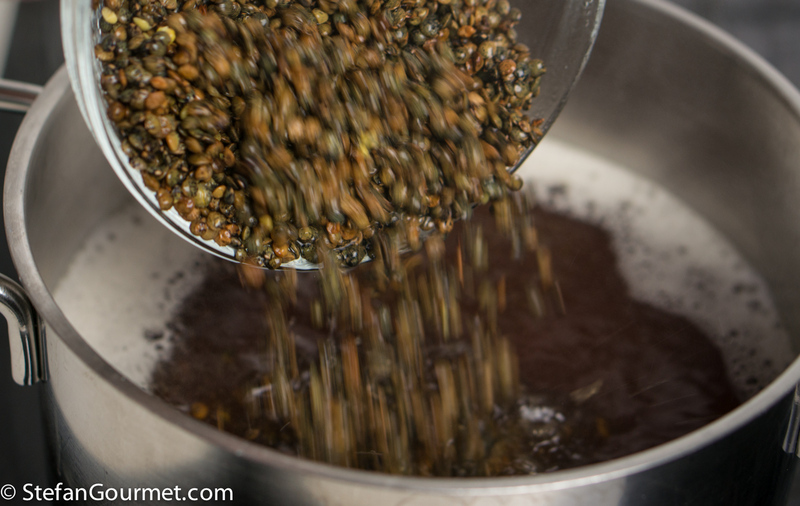 Bring the stock to a boil, then reduce the heat to a simmer. 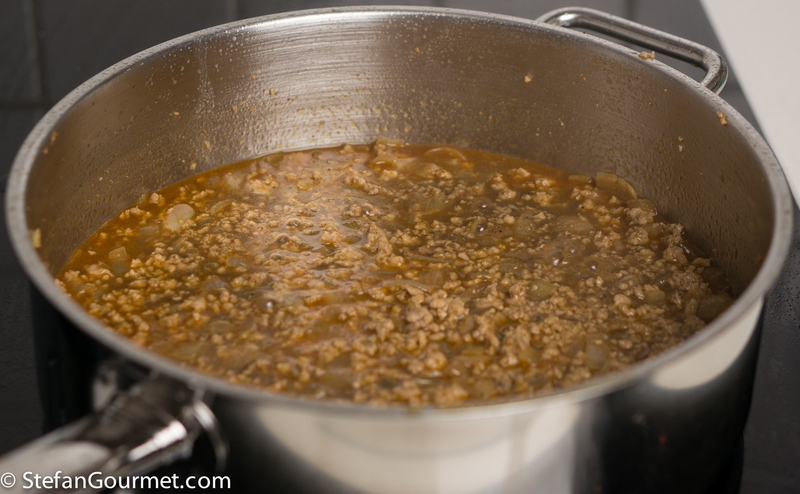 Simmer until the stock has reduced by about half. …as well as the bell pepper. 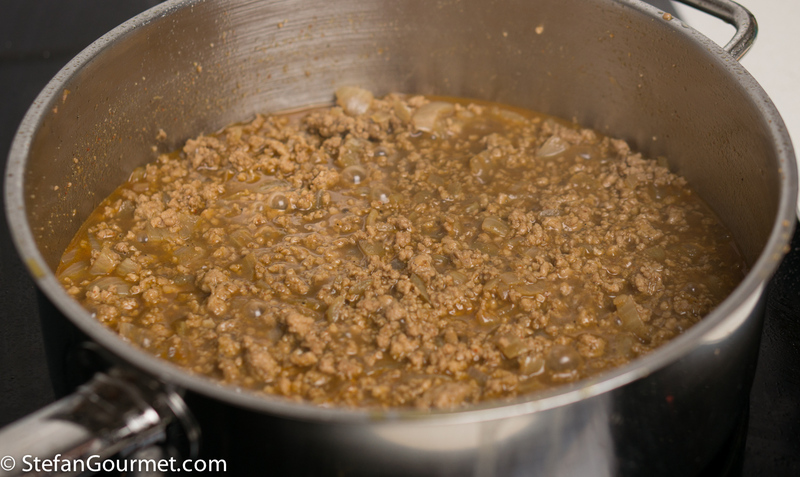 Stir over medium heat until heated through. 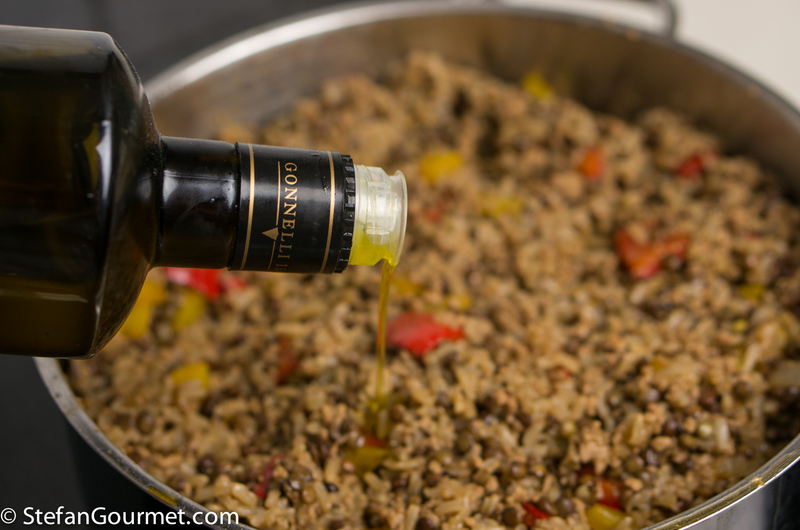 Add some good quality extra virgin olive oil for some additional flavor and creaminess. Stir and taste for seasoning one final time. 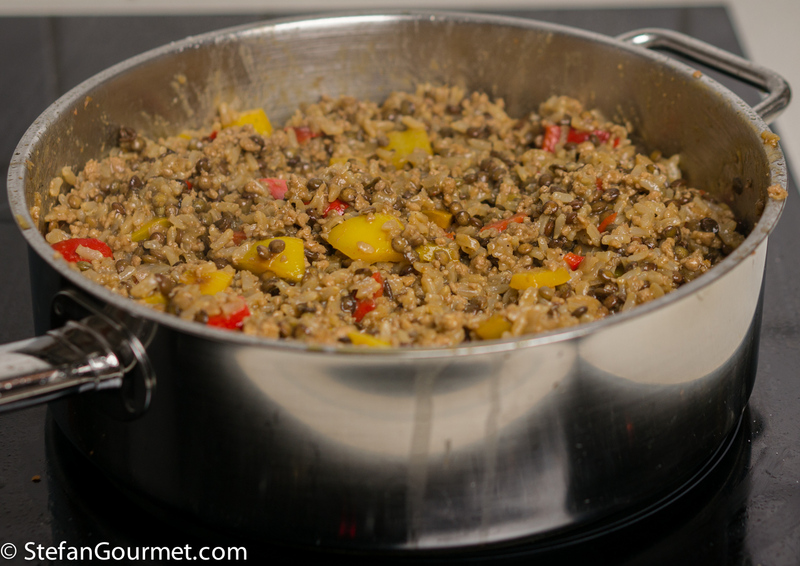 The pilaf is now ready to be served and enjoyed. I love this, it sounds delicious and a very nice nutritious meal. If they are leftovers I bet they are wonderful. Direi che non manca proprio niente! Un pranzo in un piatto! This would make a great side dish as well! This may not be the ‘prettiest’ dish to serve but as far as taste and nutrition are concerned it is marvellous and must again go on my menu soonest! Fully agree with you on the overused and abused term ‘super foods’ . . . and use white rice only for my favourite risottos – otherwise it is mostly brown with black or ‘forbidden’ or ‘Emperor’s’ rice making an occasional appearance . 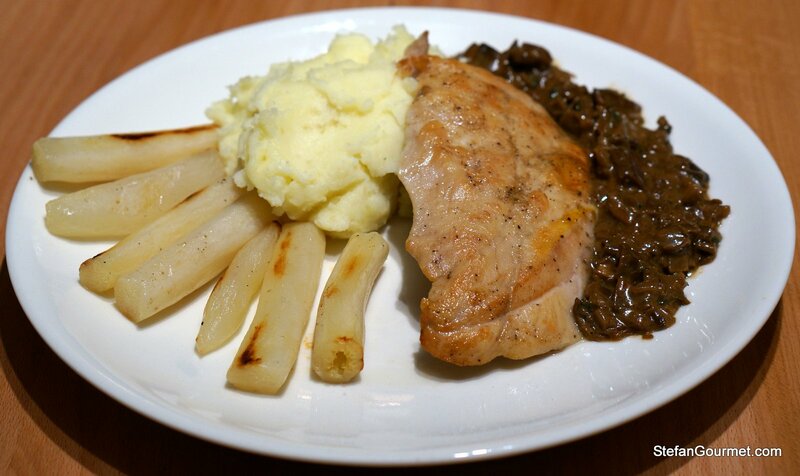 . .
Oh yum, this is the kind of dish that I like to make for my family. 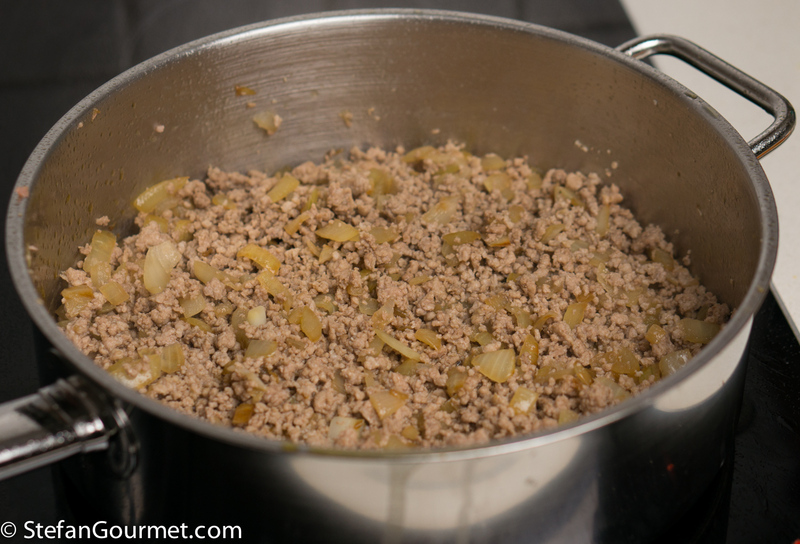 We have so much ground beef from the 1/4 cow we bought I’m always looking for good ground beef recipe ideas. 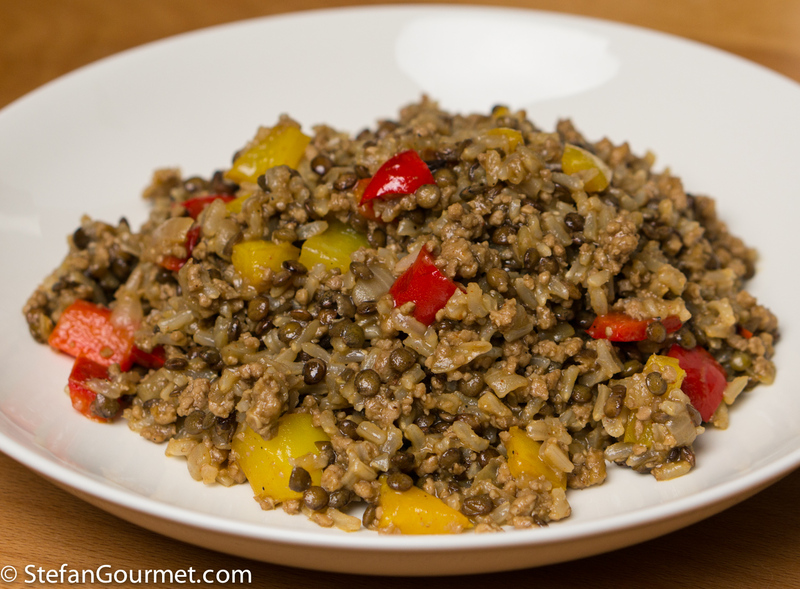 I’m also lucky in that our local Whole Foods grocery has organic du Puy lentils available in bulk, and I just happen to have some in my pantry along with brown rice. Yay! Sounds delicious, easy and healthy too. 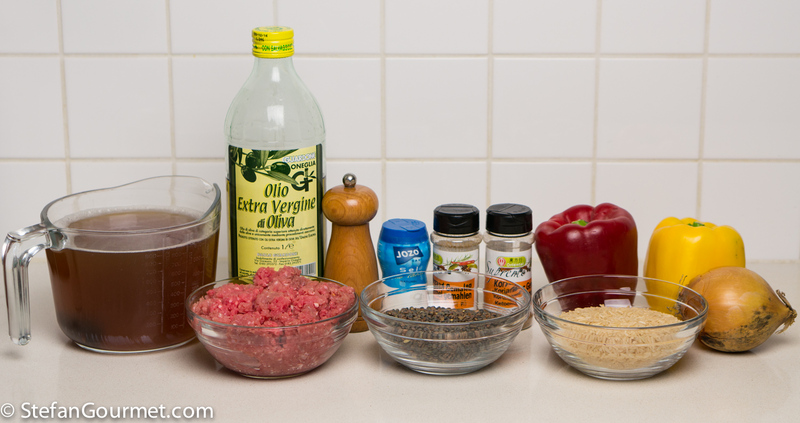 I have just made it using minced lamb instead of beef. It is comfort food. Really nice although I think I will increase the spices a bit next time.